Last year, the capital of Bosnia and Herzegovina, Sarajevo, won the title of the cheapest destination in the world. During the final, it was opposed to the city of Guimarães in Portugal. The competition for the most profitable tourist destination ended after more than a month of voting. A specialized website in traveling organized the competition in seven rounds. An impressive number of 103 cities around the world participate to the competition. The results were unequivocal: Sarajevo won against Guimarães because the capital of Bosnia gathered 9,402 votes against 4,809 votes for the Portuguese’s city. Besides Sarajevo, the website users were able to vote for some other cities in the region: Dubrovnik, Hvar and Ljubljana. This competition reflects the travel opportunities offered by the several countries of Balkans: a trip to the Balkans is twice cheaper than a trip to a European city and the landscapes are also beautiful. This year, prices are still the same, so why do not you take benefit from these offers? Posted on May 24, 2013 by Allo-Balkans. 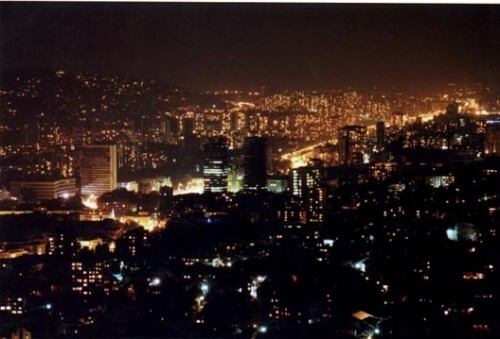 This entry was posted in Bosnia and Herzegovina and tagged sarajevo, tourism. Bookmark the permalink.